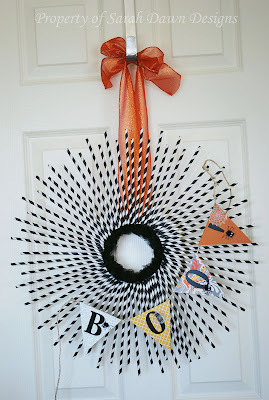 Want a Halloween wreath that stands out among the rest? Check out this starburst-style wreath made of paper straws! This creative front door decor idea comes to you from Sarah Dawn Designs. This is not an all-weather wreath, so make sure to bring it inside when it rains or snows.